Idris Elba and Tilda Swinton are on board for Mad Max: Fury Road director George Miller’s next project, Three Thousand Years of Longing, aka Djinn, per THR. The news comes just one day after it was announced that Miller had written and will direct the film, which is said to be an epic love story involving a genie. Three Thousand Years of Longing is not yet set up, nor does it have any financing, but in the coming days or weeks, Miller will begin shopping the project to studios and financiers timed to next week’s American Film Market. 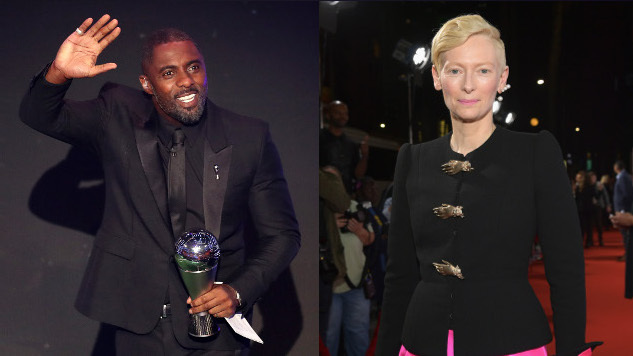 Details on Elba and Swinton’s roles in the forthcoming project are unknown as of now. Elba is currently filming Fast & Furious spin-off Hobbes and Shaw, opposite Dwayne Johnson and Jason Statham, and was also recently cast in Tom Hooper’s Cats adaptation. Up next, Swinton is set to arrive in theaters soon with director Luca Guadagnino’s Suspiria remake. Three Thousand Years of Longing is expected to start filming next year, although the jokes write themselves about whether it’ll actually happen then, given the title and the notoriously long gaps between Miller projects. The status of a follow-up to Fury Road, one of the most impressive action films of the last decade, is currently up in the air amid Miller’s legal battle with Warner Bros over the film’s earnings, but until then, we’ll be keeping an eye on developments for Three Thousand Years of Longing.